There is now no doubt, there is unquestionable evidence that the Premier of Western Australia, The Hon Colin Barnett, MEc. MLA. Minister for State Development; Science and the Hon Ken C. Baston, Minister for Food; Fisheries, are intent upon doing everything they can to secure more Chinese investment into West Australian agriculture. How they are going to do it? Western Australia – China Agribusiness Cooperation Conference. 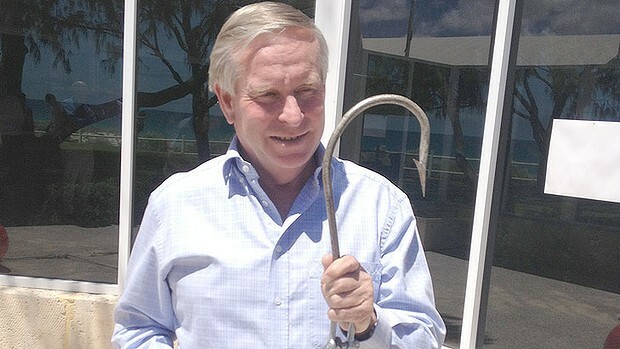 Premier Barnett with a hook for catching sharks. Premier Colin Barnett is a passionate West Australian. There is also no doubt that Mr Barnett has determinedly used his Office, and the influence that goes with that Office, to secure major commitments from the Chinese to invest in West Australian industry, mainly into mining, but there have also been substantial Chinese investments in agriculture. Mr Barnett has led delegations of business people from Western Australia to China to further cement relationships and to forge new ones. I don’t think it would be unfair to call Colin Barnett a Chinaphile. 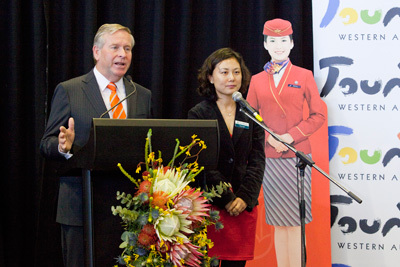 Premier Colin Barnett at Southern China Airlines Gala Dinner. There has always been a belief among the majority of West Australians that ‘Chinese’ investment in Western Australia in the past has been conditional upon the imprimatur, and investment of the Central Government of the People’s Republic of China. In other words the Government of China is always involved somewhere in the deal as an equity partner. Mr Barnett must be aware of this and be unconcerned that a sovereign state is investing in and becoming an owner of, Australian freehold property. As far as I am aware it has never been denied that the Chinese government will be a equity partner in any investment in Australia. Recently Mr Barnett was critical of Australia’s foreign investment rules, claiming they were sending the wrong message to China. Mr Barnett said that the United States could invest more than $1 billion in Australia without being subject to Foreign Investment Review Board Rules, but it was different for China’s state owned enterprises where any level of investment from $1 up was subject to review. Mr Barnett believed this caused resentment in China. In July 2013 speaking from Zhejiang province in China Mt Barnett said he believed the Chinese were not seeking to own Australian land – they just wanted to protect their investment for food and have a secure relationship with Australia. 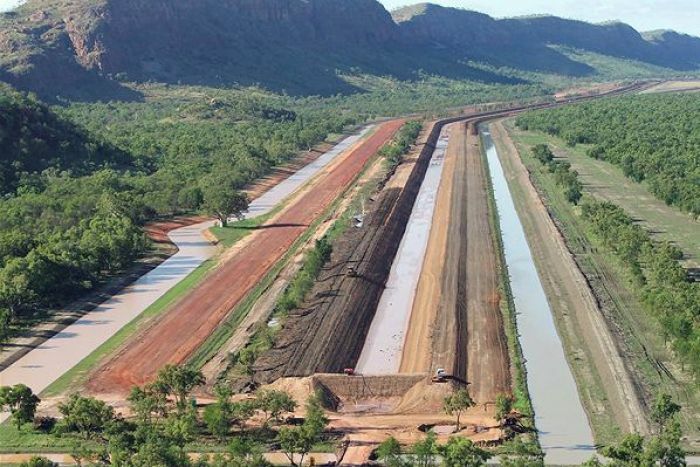 Yet the previous month, June 2013, the Queensland Country Life reported that Chinese investors had spent $757 million in the first quarter of 2013 buying land in Australia, with WA, according to Landmark – Harcourts, topping the charts with sales of $350 million. True or false? We may never know. Well, whatever is the truth, what the Premier really believes will be revealed on April 9 2014. State Reception Centre – Kings Park. The name of the conference and examination of the programme shows that the objective is unambiguous. The West Australian Government wants China to invest in West Australian agriculture from top to bottom. The conference, organised by the Department of Agriculture and Food, Western Australia (DAFWA) in partnership with the Department of State Development, Regional Development, Chamber of Commence and Industry of Western Australia, the Australia China Business Council (ACBC), InvestWest Agribusiness Alliance and the Consulate General of the People’s Republic of China in Perth is presenting the first; Western Australia – China Agribusiness Cooperation Conference. What is included in the Western Australia – China Agribusiness Conference? 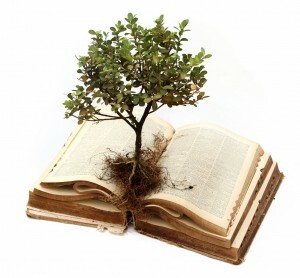 agribusiness including finance companies, industry groups, consulting firms. If you have a look at the web address at the beginning: https://www.agric.wa.gov.au/investment-attraction/western-australia-china-agribusiness-cooperation-conference you will get a comprehensive list of the ‘official’ attendees, some very important people. You will at least get to read (some) of what Mr Barnett is going to say in opening the conference and the reply from the Chinese dignitaries. The programme is wide-ranging and well put together and obviously has but one objective and that is to get Chinese investment into Western Australian agriculture. If you want to attend the conference it will cost you around $700. I got in as an ‘early bird’ at $500, one hour before the ‘special offer’ closed on January 31. I will happily accept donations to cover my costs. If the organisers had wanted as many as possible on the early bird offer, why wasn’t the conference advertised? If you didn’t know about the conference how could you be an ‘early bird’ and get the $200 discount? Seven hundred dollars is a lot of money and may deter some. I am determined to attend to try and get a ‘handle’ on just what is going on. The more serious question to be asked is, why haven’t farmers been told about the conference? 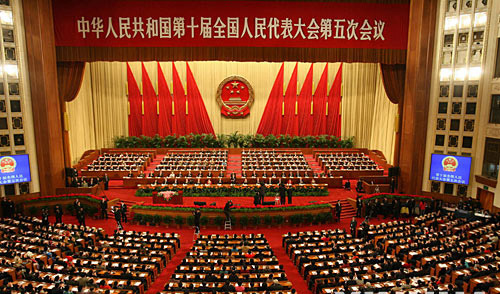 After all it is called the ‘China – Australia Agribusiness Cooperation Conference. Investing and growing together.’ It hasn’t been advertised and hard up farmers would have appreciated the ‘early bird’ discount. It’s the farmers who are the cornerstone of any agribusiness isn’t it? Or have I got it wrong? Is someone else now driving agribusiness? Is it the banks who hold the mortgages? The Investment Banks working for foreign governments? Are others telling the government what they could do with WA agriculture if they could only get their hands on it. Do the mortgagees see foreign investment as the saviour from some of the bad debts and forced sales that are almost inevitably coming their way? Is this paranoia on my part? I hope not. I still haven’t sorted out in my head why we spent hundreds of millions of dollars of both State and Federal money to develop 13,400 hectares of Stage 2 of the Ord Irrigation Scheme and then granted a 50-year lease on the area to a Chinese company on which, they say, they plan to grow sugar. It doesn’t make sense to me when both the State and Federal Governments have been promoting the concept that in the forthcoming ‘Asia Century’, Australia could become the ‘Food Bowl of Asia. What, growing sugar? Makes sense I suppose. Sixty per cent of Ord Stage One grows Sandalwood. Feed the millions on sugar and perfume. On behalf of the Conference Organising Committee, we would like to invite you to Sponsor the Western Australia – China Agribusiness Cooperation Conference, to beheld from Wednesday 9 to Friday 11 April 2014. The conference will provide a forum for key stakeholders from China and Western Australia to network, gain knowledge and identify key trade and investment opportunities in the agriculture and food industry. It will provide the opportunity to listen to key stakeholders in the various sectors and information on specific programs covering all aspects of agriculture, including wine and specialty foods, dairy and grains, beef and livestock. There will also be the opportunity to network and enhance relationships with senior leaders from nine Provinces in China: Zhejiang, Shanghai and Jiangsu, Shandong, Liaoning, Jiangxi, Henan, Anhui and Shaanxi and senior Chinese representatives from companies in the sectors of: dairy, beef, sheep, fodder, grains, horticulture, wine, gourmet food and fisheries. Your organization will be prominently demonstrating its commitment to the future of Western Australia agriculture. You will gain a significant level of exposure to local and international key personnel and delegates attending the conference. Your representatives can network with local and Chinese delegates to update their knowledge and understanding of your company and services in an environment where they are open to listening and learning. Sponsorship is a very cost effective way to reach this group who will be targeted via a comprehensive promotional campaign. The sooner you confirm your sponsorship the greater the level of exposure we can offer you in the lead up to Western Australia – China Agribusiness Cooperation Conference. An extensive promotional campaign including advertisements, email broadcasts and web exposure will be implemented in the lead up to the Western Australia – China Agribusiness Cooperation Conference and the opportunity exists for your company to be represented as a key supporter of the Conference well in advance of the actual dates. End of quote from brochure. Is it unfair to ask or do I just not understand, why has this conference been organised just for the Chinese? Why is it not an international conference? So we could invite our friends in Indonesia, America, and the EU, not forgetting Singapore, Malaysia and the Gulf States who have all bought vast swathes of land in Western Australia in recent times, to all participate. China feeds 22% of the world’s population from only 10% of the world’s arable area and 6.5% of the water. Per capita grain production has been maintained above 350 kg since 1983. Other agricultural products are also in abundant supply and these ensure the improvement of living standards and nutrition. Grain output has exceeded 500 million tons five times since 1996 with an irrigation water supply of 320–340 billion m3. However, the state has suggested that the country must produce another 50 million tons of grain per annum by the year 2020. From the Journal of Experimental Botany in 2012. I have published these numbers before, I do so again because I think we need to keep at the forefront of our minds that moves, say into Australia, by China, are long term and strategic. All over the world arable land is disappearing at an alarming rate to urbanization, desertification and salinity. The theory, therefore is that arable land should become more valuable. This is happening in most countries but not in Australia. 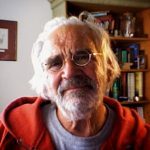 We have got ourselves in a tangle over our terms of trade and enormous rural debt – so there are indications that land values are going against world trends and going down. China’s shrinking arable area and increasing population. Yongye, one of the biggest fertilizer manufacturers in China say of themselves and of the challenges faced by China: The long-term market growth of crop nutrient products in China is primarily driven by the need to improve crop yield to ensure sufficient food supply in view of limited and shrinking per capita arable land in China. With approximately 10% of the world’s arable land, China needs to feed 1.3 billion people, or 20% of the world’s population. According to the National Population and Family Planning Commission of China, China’s population will reach 1.5 billion by 2030. Therefore, the country faces the challenge of producing additional food to feed the additional 200 million people within the next 20 years. This puts great pressure on China’s agricultural system to increase production output. The march of the ‘Middle Kingdom’ to achieve their ambition of being the world’s biggest economy seems unstoppable. The rate of change in population demographics, people moving from the country, where they grew food, to the city where they expect to able to buy food or to be fed, is one of China’s major challenges. As urbanisation increases the loss of arable land will continue. The easiest way for China to meet it’s future need for wheat and to handle it’s diminishing supplies of irrigation water due to salinity, which is used on something like 50% of China’s 29 million hectares, is to look for somewhere else to grow wheat. Chinese interests have already bought many thousands of hectares of West Australian wheat country. Rumours abound that they are leasing more and buying more – time will tell. Vertical integration will be the objective of Chinese investors. That means maintaining control from paddock to bakery and on to the retail outlet. The Chinese have shown that they are here for ‘the long haul’ as they have secured grain loading facilities and space for silos at Albany Port and it seems to be common knowledge that they will move grain from their farms to port and then load on to their own boats for China. By doing this they avoid the close to $60 tonne costs incurred by local growers who live within 200 km of the Port. It costs more for those further away. As far as I am aware, providing they meet our standards, there is nothing to prevent the Chinese from importing everything they will need to plant harvest, transport and export their crops and by-pass existing infrastructure. It makes good business sense anyway. If there is an Australian Tax Law that demands the Chinese pay tax on profits, then they won’t make any will they? As you will see below, that’s not difficult. 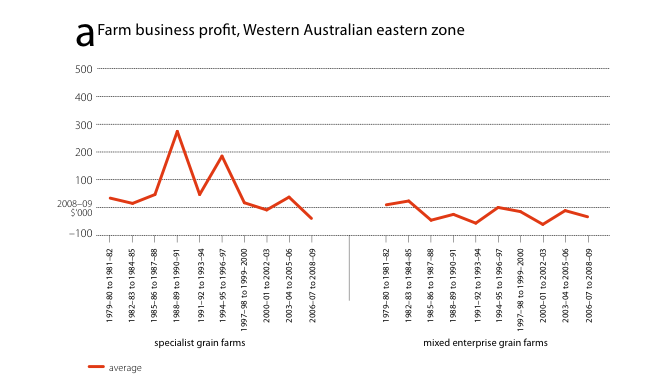 The Challenges Facing West Australian Wheat Farmers. 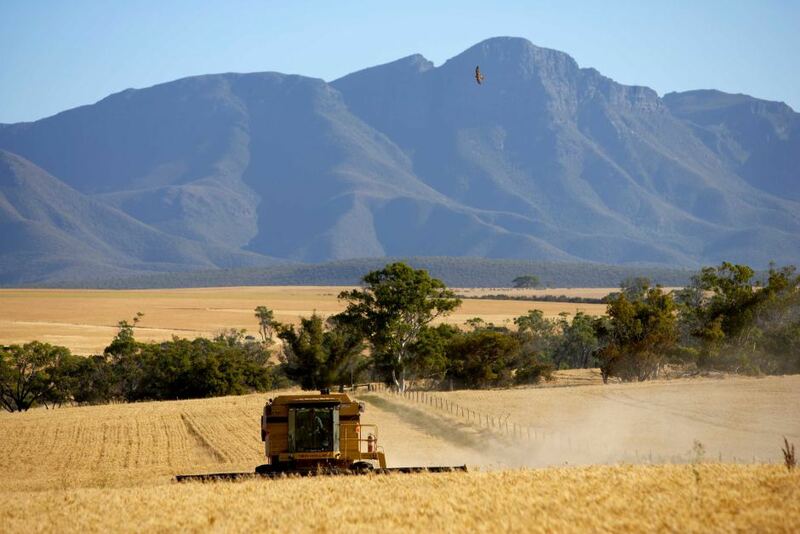 Harvesting close to The Stirling Range, Western Australia. For others the last harvest has been a saviour and has given them hope for the next season, but nobody has yet really started talking to the banks. In simple terms, for many farmers it now costs more than a dollar to make a dollar, and for number of years many farmers have been prepared make up the difference by increasing their borrowings to cover the difference. They have subsidised themselves by borrowing more. In other countries governments subsidise their farmers. In my view the banks were profligate with their funds, money was cheap (for them) and they lent it without doing due diligence on the applications for those funds. Neither the banks or the farmers can demonstrate the bigger you are the better off you are. Now the debt must be repaid, farm values have decreased and debt to equity ratios are being forensically examined by the banks. There are a lot of farms for sale. There are even more that would be sold if a buyer turned up at the gate with the right money. Last year a major voluntary survey revealed 48% of landowners would sell their farms at the right price and 51% could not identify a successor for their farm business. Seventy three per cent of those who returned the questionnaire were over 50 years of age. Forty five per cent were between 56 and 70 years of age. Countless farmers already rely on casual, seasonal and backpacker labour to both plant the crop and harvest it. So we have an agriculture with potent mixture of high debts, an ageing farming population, few successors and a massive shortage of permanent labour. Do we now have the perfect conditions for a ‘perfect storm’ in investment in agriculture in Western Australia? Keen buyers with the money. An ageing farming population with many wanting to sell and an apparently insatiable world market for agricultural land and the perception that compared to other places, Australian land is cheap and the certainty it can be held by freehold title is an added attraction. Is it just me, or is something just not ‘quite right’ about all of this? Next PostThe City – Country Divide. As big as ever. Roger, something is very not right about all this… We are being sold out en mass by a system [Govt] that supports the Chinese investor above the Australian business owner.. Actually as pointed out – they support the Chinese Investor above all foreign investors…. I fail to see any advantages for Australia and the Australian business owner, particularly the farmer. The lengths gone to here to hook the Chinese investor are quite amazing and it appears an almost national secret in doing so. Unless you happen to know where to look. I see our govt has the time and finances to provide a conference on securing Chinese investment and ownership in our lands and businesses, yet I have not seen this same Govt hold a conference for West Australian farmers, a conference aimed at keeping our businesses – “ours” and securing “our” future…. I do appreciate the heads up in all this and the situations regarding the Ord were new to me. What a mess we have out there…. The photo of Barnett, his grin and that Shark hook seems very appropriate! I have no way of knowing if this post has been seen by either the Premier or the Min of Ag or even your local member. There certainly are questions, I believe, that need answering. They will not get answered unless they are put. Perhaps you and other readers could enquire of or send the article to your local member, even to the Premier or Minister for Ag and see if we can get a response? Great Idea Roger. Will do…. Rodger the real question about the Ord Stage Two sellout for that is what the vast Majority of Australians would consider it is why when at least three accredited Australian Agricultural enterprises expressed Interest in Stage two did the Federal and State Governments of the Day representing both Major Political Parties favor a Chinese offer. From a Company with No background in Agriculture but in Fact the Building of Hotels that aspect of “Money Talks” does tend to make one wonder just what would be uncovered with a careful investigation into the Banks and Investment Banks and Private Equity Funds taking over Australia aided by Overseas Companies that are in many cases just Shell Companies to hide the real Owners taking control most from offshore. I cannot help but agree, Stephen. Has anybody asked the ‘Asians’ (whoever they may be) whether they want, or are prepared to be fed by Australia? The answer, of course, is no. The way we are going, losing our food processing overseas, we are rapidly reaching the stage where all we have as a market is for fresh produce grown in Australia. Without being alarmist, there are disturbing indications, that our balance of payments can be further eroded, by for instance peaches from the USA currently in our supermarkets and those peaches are ‘fresh’ produce. Recently Rabobank issued a statement that Australia is now the most expensive place in the world to grow wheat. I wonder where that leaves us with other food products? The interesting thing is that say the Chinese decide that the profit centre for their sugar will be the point of retail or wholesale in China. That puts them at a distinct advantage over Australian growers whose profit centre may be FOB. The same can be said for cereals.